Place your favorite bottle of wine in this personalized and rustic wine chest box. Present a single bottle of wine with this beautiful natural wood wine chest box. Personalize it with the couple's names and event date to commemorate a wedding or anniversary. 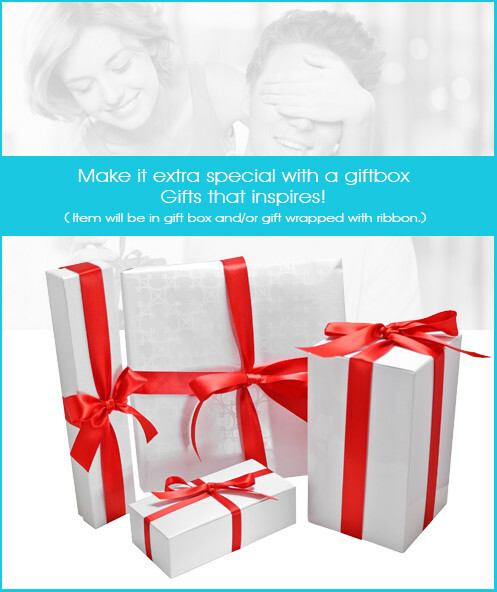 Or have a company logo or an inspirational quote engraved on the wine box to make it a truly unique gift. 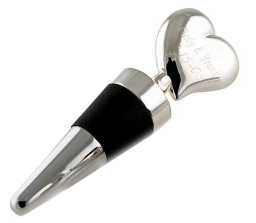 Combine this with a Personalized Heart Bottle Stopper to create a wine tasting gift which is exquisite and perfectly matched to the person receiving it. The two can have the same message etched into their face, or can contain complimentary messages, like a riddle and answer, uniting them in their dual purpose. 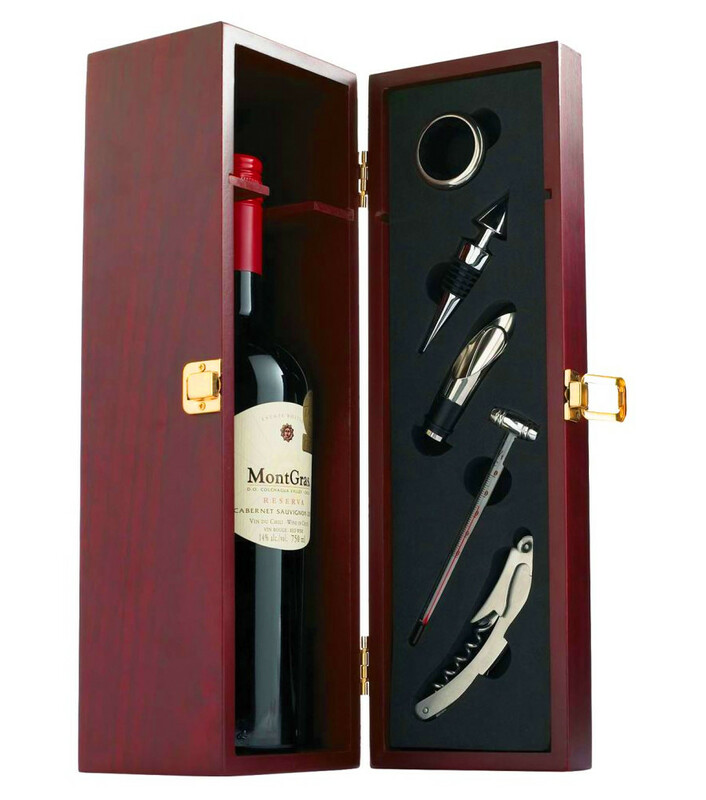 Handcrafted from the finest natural wood, this wine case stands 13-1/4" in height, x 4" wide and deep. The hinges are brass, and the personalized message can be engraved in your choice of font and style. Add the Engraved Toasting Flute to pour your favorite wine into or check out our wide arrange of wine products. the wine box is well crafted and made. it looks exactly as it does in the picture. It was everything I wanted, made to perfection!!!!! I would most certainly do business again.